How growth-ready is your culture? 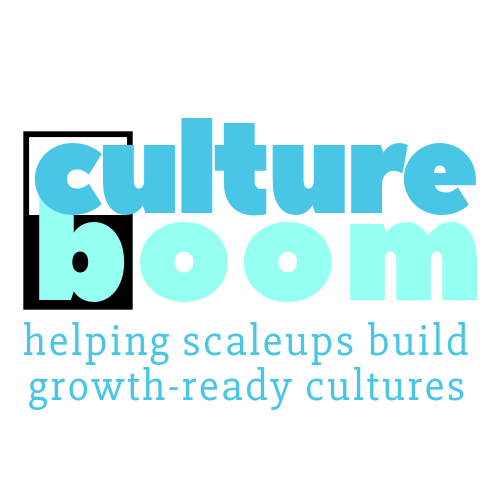 Please note that to see your full KCIs report, you need to be customer of Cultureboom. However, it is free to take this quiz, and you'll receive your growth-readiness score shortly after you complete. Please also note; the data you have entered is only for the use of Cultureboom. It can be used to improve the accuracy of results for future customers but we commit to not sharing it with any third parties. By filling in the form, you consent to this. L1. What is your average yearly employee turnover? Divide total separations by the average number of employees and multiply the answer by 100 to convert to a percentage. Suppose you lost 33 employees over the last 12 months out of an average workforce of 110. Divide 33 by 110 and multiply by 100 to find the employee turnover rate of 30 percent. L2. What is your average employee tenure (in years)? e.g. 1.8. Calculated in years, how long does an average recruit work for the company (excluding founders)? L3. What percentage of your employees do you predict would opt-in to stay, if you had announced you won't be able to pay salaries for the next 2 months? L4. What percentage of your employees do you predict would decide to leave, if they received a competing offer from a direct competitor that is 20% higher than their current salary? L5. What percentage of your employees, would you fight hard to convince and keep in the company if they came to you with a decision to quit? AQ1. Calculate your referral to size ratio: How many high quality job applications do you receive per month, divided by your total workforce size? AQ2. How often do you get high quality referrals from existing employees? CP1. How happy do you think the employees are working for your company? CP2. As the founder (or a top level leader) how would you rate your "organizational health" considering factors such as a. ideal organizational structure b. management style c. communication style d. right people being in the right roles, among other factors? CP3. Have you taken any conscious, planned actions or run projects to improve your culture before? A1. How much do you trust your employees to make decisions related to their domain but that effect the company? A2. Regarding how people are managed within the organization, which matches your reality best? A3. Which polar opposite describes your organization the best? People are afraid to make mistakes, are risk averse. People risk failure & making mistakes to solve problems and improve the company. A4. Regarding the average senior manager's relation with taking responsibility within the organization, which matches your reality the best? A5. Which one describes your organization the best? M2. How would you describe your orientation / onboarding practices today? M3. How would you describe your training / skill building practices today? We don't invest in skill building or training opportunities at all. We invest heavily on skill building & create abundant opportunities for the technical and self improvement of employees. M4. How much does your staff value "learning" as a core skill? We make no conscious emphasis on the role of "learning" as a core skill. Our staff lives and breathes "learning"
AL1. In good cultures people agree on company values without the need for written statements on the walls. If we were to ask the employees the top 5 values of your organization, how aligned people's answers would be? AL2. If we were to make an employee poll today and ask everbody about the "Why's" of your business (e.g. the vision, the mission, the strategy to get there) how aligned do you think the answers would be? P1. How often do employees openly mention what a privilege it is to work in your organization remarking about the positive aspects? P2. How often do a group of people share a "LOL" moment in the office? P3. How often do employees hang out together outside of work? P4. How much of a role does gossip play in the dispersal of important information? C1. Good cultures are able to create the atmosphere for functional disagreements. They use disagreements to increase the quality of decisions. How easy and openly do you think people can disagree with their peers? C2. Good cultures are able to create the atmosphere for functional disagreements. They use disagreements to increase the quality of decisions. How easy and openly do you think people can disagree with their managers? C3. How often has disagreements lead to better decisions in the past? HF1. What do you look for the most when making hiring decisions? HF2. How do you make decisions to fire an employee? PS1. How clean & tidy are shared areas such as the kitchen, lounge etc? PS2. In average, how happy are people with the physical space they work? Some key metrics so we can calibrate the results. How many months has the company been in operation? (Optional) Have you received any funding? (Optional) What is your current Monthly Recurring Revenue?